Arrival to the Madrid-Barajas Airport. Assistance on arrival and transfer to your hotel. Overnight. Free time. Breakfast and overnight. In the morning, panoramic city tour with local guide, who will show the monuments and contrasts that the capital of Spain offers. We will cross his principal places of interest as the Santiago Bernabeu Stadium, the Cibeles Square and the Gran Via Avenue, to end in the Orient Square. 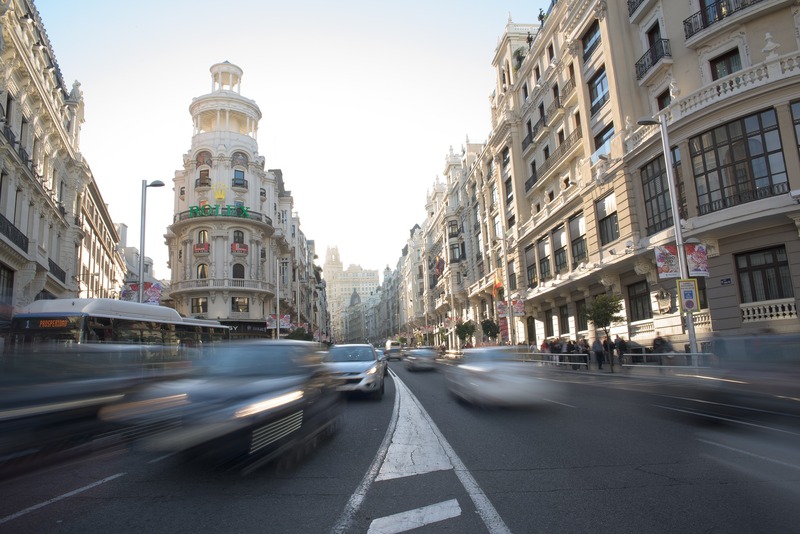 We will make a stop at the Devod Temple, Plaza Mayor and the Ventas Bull Ring. Free time to take some photos (it will depends on the climatic conditions). 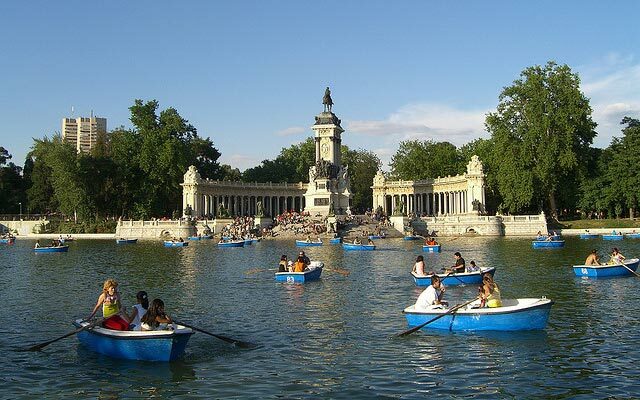 Afternoon free to explore Madrid or to attend an excursion in the outskirts of Madrid. Breakfast at hotel. Departure towards La Mancha. Brief stop at the typical site of Don Quixote. Then, we continue towards the south of Spain, crossing through the impressive gorge of Despeñaperros, entrance to the Andalusian Region. Our next stop will be in Cordoba, declared World Heritage Site. Included monumental tour with our local guide in which we will take a stroll through the Jewish Quarters and then visit the world renowneded Mosque (entrance included). In the afternoon, we will proceed to Seville. Overnight. Free time to explore the quaint streets and squares of Seville. Breakfast and overnight. Morning panoramic and monumental city tour, where we will take contact with this magnificent city, driving by Maria Luisas Park, The University, the Americas Square and The Pavillions built in 1929 by the Iberoamerican Fair. Following the panoramic tour we will continue on foot from the Murillo Gardens towards the old “Santa Cruz” quarters. Brief stop. Then we will proceed to the Cathedral (entrance included), where we will also see the symbol of Seville, the Giralda Tower once the minaret of the Mosque and today the belfry of the Cathedral. Afternoon free, where you can attend an optional artistic tour. In the late afternoon, possibility of attending the finest Flamenco Show in Spain. Breakfast at hotel. Departure to Granada which is located in the foothills of the Sierra Nevada Mountain Range. At our arrival, we will do a tour for the Alhambra, the most visited monument in Spain where we will be seeing the Nazarite Palaces and the Generalife Gardens (entrance included). Breakfast at the hotel. Departure to Toledo. Firstly, we will do a panoramic drive tour around this monumental city declared World Heritage Site and then we will proceed on foot to visit the historical old town. We will enter the Cathedral (entrance included), Santo Tome in whose interior is one of the masterpieces of El Greco, “The burial of the count of Orgaz” (entrance included). Finally, we will proceed towards the former Jewish Quarters to see the synagogue of St. Maria La Blanca. Afternoon departure to Madrid. Overnight. Accompanied by guide throughout tour.